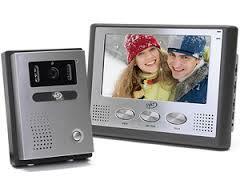 The capacity of FC Locksmith extends to intercom systems and ensures the quality of repair and installation services. From the simplest to the most sophisticated intercom, we have the knowledge required to provide right services. Having the most reliable cutting edge technology equipment in each van, we guarantee immediate repairs. Our great work springs from our efficiency to do each job right but also our knowledge, which in turn is the result of keeping track with novelties. As fully updated with new intercom systems in Ontario, our technicians can also inform and consult you when you are planning new intercoms system installation at either your home or company in Toronto. Such high tech electronic Toronto Intercom Systems supplement your existing good bolts and reinforce security. As knowledgeable technicians of all these modern access control systems for enhanced protection, we promise full assistance when you are looking for new solutions. Since these systems come in a variety depending on your needs and the special requirements of your property, consulting with our teams will only benefit you. We help you choose among biometric, card readers or pin code options and rest assured that the installation will be precise. During installation but also intercoms system service, our teams are careful and fully compliant to all regulations. We utilize our great technical knowledge when we service these complex systems and make sure the client has proper communication with the visitor and easy access. 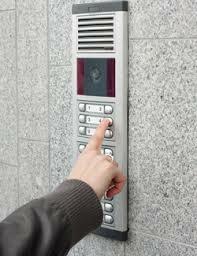 We can help you understand how these systems work and fix any problem with your Intercom Systems in Toronto. Our work is equally effective regardless of the complexity of the system or the complexity of the problem. Our technicians arrive as soon as possible for repairs and focus wholeheartedly on the problem. Thanks to their expertise they make sure every issue is dealt with at once. You can trust our expert teams for all intercom needs since we are the best in intercoms system repair and efficient in our work.